We shine a spotlight on views and comments by our customers and staff to give you an insight in to why you should come diving with Ocean Frontiers in the Cayman Islands. Boat Captain and SCUBA dive guide Dez Duffield talks about what it's like to work in the beautiful East End of Grand Cayman. Working in Grand Cayman as a SCUBA instructor is fun and exciting. New crew member Evan Verreault speaks about his job at Ocean Frontiers. It doesn't matter how old you are, it's better late than never as far as learning to SCUBA dive goes. Ocean Frontiers has a full staff of fully qualified PADI Instructors that can teach everything from Open Water to Recreational Sidemount. Don't know what Recreational Sidemount is? Take it as a specialty class the next time you dive with us! 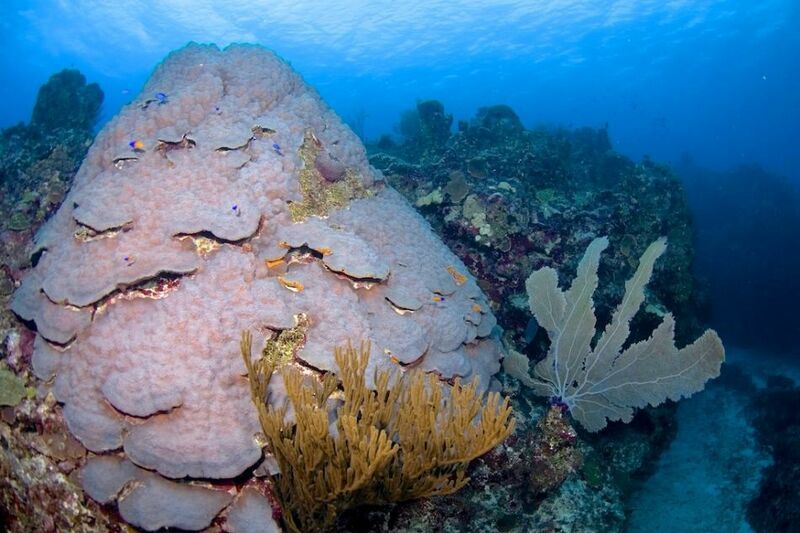 Jack McKenney's Canyons is without a doubt one of the best dive sites on East End if not the entire Cayman Islands. From nice sandy areas teeming with life to some pretty amazing swim through's and dramatic walls it has something for everyone. The fish life is abundant, you never know what might swim by in the deep blue, and it's one of the best places to see Caribbean Reef Sharks.Underwater Photographers will delight in the healthy corals, sponges and deep sea gorgonians.